The Household Appliances market consists of two segments: Major and Small Appliances, which will be discussed in this report. The worldwide revenue of US$97 billion in 2018 is expected to increase to US$103 billion by 2023. The Household Appliances market is subject to constant challenges, innovations, and transformations. Smart technology and the transition to more energy-efficient appliances shape the market. In this report, growth potentials, market drivers, consumer insights, key companies, and future developments for two major Household Appliances markets, North America and Europe, will be discussed. The market is divided into two segments: Small and Major Appliances. 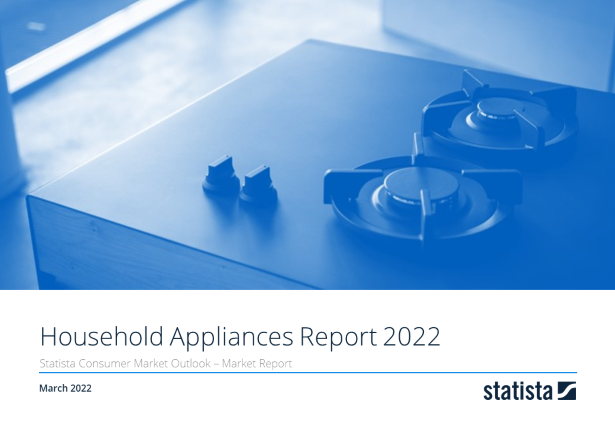 This report from the series of Consumer Market Outlook reports gives an overview of the Household Appliances market from an international perspective. You can find further information on the topic on Consumer Market Outlook/Household Appliances.